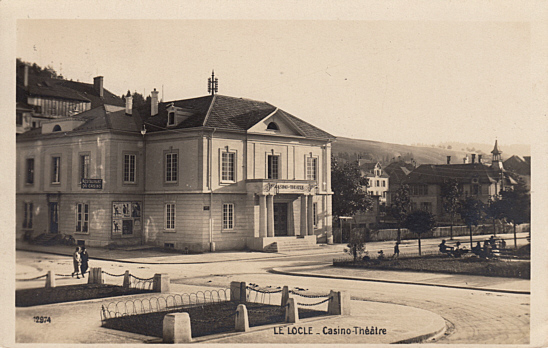 Built 1890 by Pictet and Ritter. Partially destroyed by a fire in 1924. Rebuilt by Oesch and Rossier. From 1934 to the 1980s mainly used as a cinema. 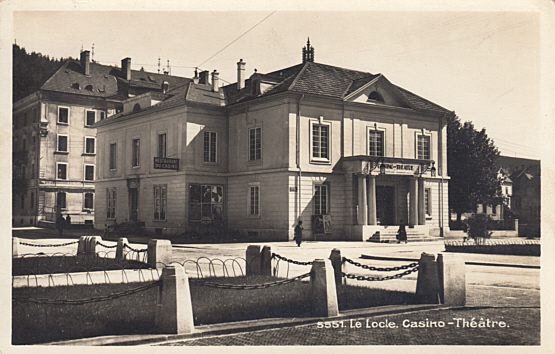 Front Text: "Le Locle - Casino-Théâtre"